Colorado business groups want immigration rules they can follow - Denverite, the Denver site! Some Colorado business owners would rather break immigration laws than watch their crops rotting in fields, houses going unbuilt or other jobs left undone. Feb. 21, 2017, 12:22 p.m. The recently formed Coloradans for Immigration Reform coalition says it doesn’t want people to have to make that choice and is calling for Congress to end stop-gap policies — like those created by President Donald Trump and his predecessor Barack Obama — and establish true reform for those foreign-born residents who wish to live and work in America. On Tuesday, the Colorado Business Roundtable and other business organizations from around the state associated with the coalition released new data highlighting the role immigrants play in Colorado. The data looks at both those in the country legally and illegally, showing there are 342,509 immigrants in the Denver metro — 12.5 percent of the population. Most of those people work in construction, administrative support and tourism and hospitality roles. The stats are based on New American Economy’s analysis of data from the 2014 American Community Survey and research from the Institute of Taxation and Economic Policy. 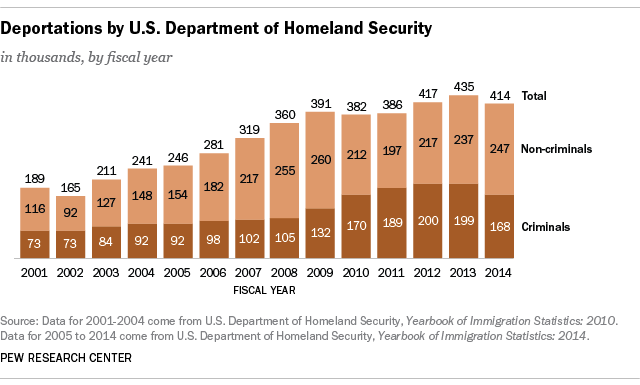 Earlier this month, Pew Research Center said there were 130,000 unauthorized immigrants — 4.7 percent of the population — living in the Denver metro in 2014 without permission from the U.S. government. Statewide, unauthorized immigrants made up 4.9 percent of the workforce in Colorado in 2014, according to Pew. For high-skilled immigrants, there are opportunities for H1B visas and other government programs. But there are fewer options for those lower-skilled workers willing to do the unglamorous, labor-intensive jobs that Americans sometimes aren’t, Wasden said. When workers are paid under the table, they can easily be underpaid or suffer labor issues with little recourse. “Those are the things people don’t talk about,” Wasden said. The business leader called for creating a way for unauthorized immigrants to “come out of the shadows,” pay a fine and get legal status in the U.S. Like Obama and Trump, the coalition believes immigrants who are “not here for the right reasons” and have criminal records should be sent back and Americans looking for jobs should get priority. Reform could make it tougher for businesses to get away with breaking the rules going forward, too. “You either have a legal status or you don’t get a job, and we need to hold employers accountable when they don’t follow those rules just as much as anybody else and I think business welcomes that,” Wasden said.